All the dual camera smartphones currently available are in premium range, at least in India. Micromax has now released a sub 10K INR device - Evok Dual Note - that makes it for the first affordable dual camera system. The phone will be available exclusively on Flipkart from 22nd August. Karbonn became the first company to launch a Android 7.0 powered mobile with integrated fingerprint scanner and BHIM app. Since the digital Indian push during the last quarter of 2016, there have been a spate of other products in this area, but Karbonn K9 Kavach 4g is probably the first that falls in affordable range and offers the fingerprint security features that are only available with more expensive models. With NPCI officials attending the event, here is a hoping that due work on the security compliance has be done on the device to assure users of safe digital transactions. Intex has released Aqua A4, probably India's first Nougat based phone under 5K. The specs seem decent, only a lot of people may find 4" to be too small these days. Especially when Android 7.x support split screen multi tasking. 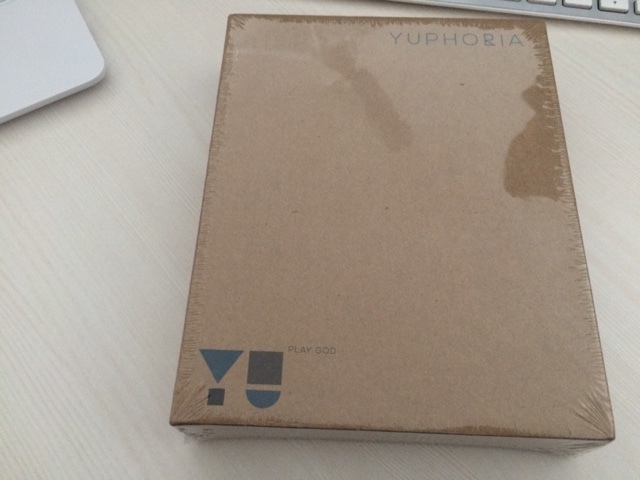 The packaging is superb. 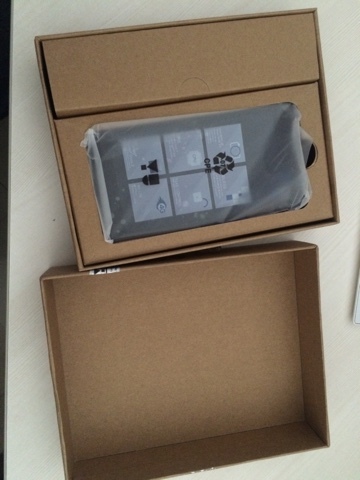 Well done packing made up of recyclable cardboard with minimal ink used on the exterior. My only wish: they find a replacement for those plastic covers, which totally goes on the face of the recyclable cardboard. 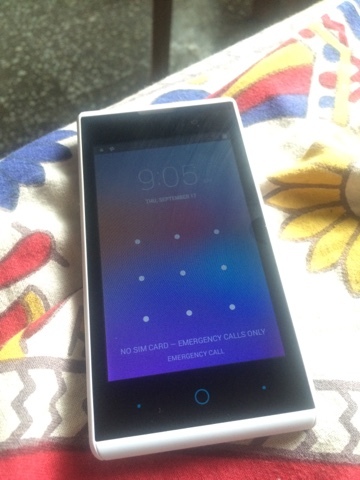 The phone itself is nicely build, with the "Made In India" printed on the phone exterior and the interior. 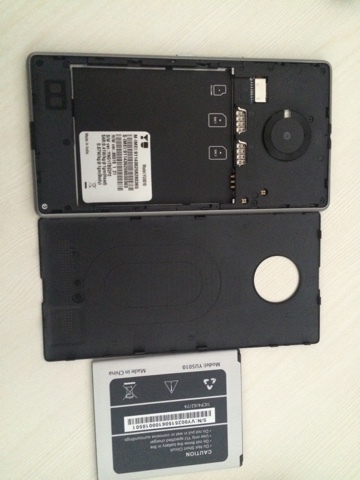 The battery however is "Made In China". Sigh. Well you still have a long way to go, but a good step forward. The build quality, screen and the "premium feel" is just right for this phone. The frame is actually made of steel that is unheard of in this price segment. Performance is buttery smooth, and Cyanogenmod (it is not the usual Android), is really great and insanely customizable on this phone. And did I mention the most important feature of this phone? 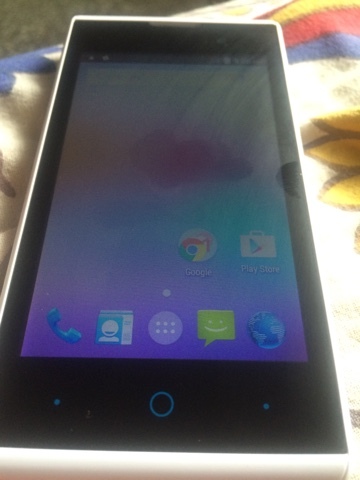 It has a boot loader that is unlocked. That seals the deals for those who want absolute control of their hardware. Another plus point? It gets regular updates to latest Cyanogenmod, whenever that is available. A feature that most Android phones simply do not have. The camera, although 8MP, is not stunning, but takes reasonable good shots. Front camera is also nice and takes pretty good selfies. End of the day, recommended phone if you are looking for a good Android experience. And you want to flout fashion and of course be proud of "Made in India" phone. 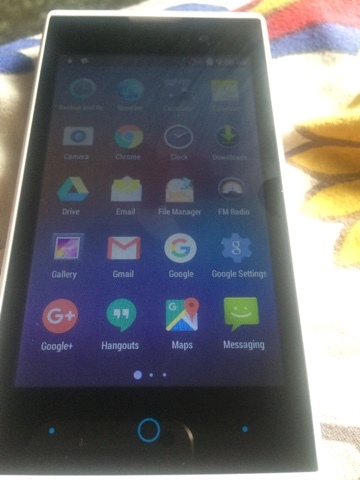 Frankly I needed a very cheap Android phone for testing Apps that I write. That is the only reason I got this phone. At 2300/- it is a real cheap smartphone and a hell lot better than the Firefox phones that you would get at this price point. 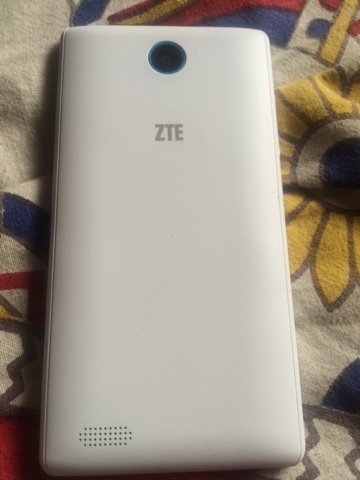 The ZTE blade buzz is actually a very well built device even at this low price point. It has an IPS display (yes, the viewing angles are surprisingly good). Comes packed with a data cable, charger and headphone (take that Asus!). The capacitive buttons at the bottom can be configured for the the functionality they offer, but are not backlit. I don't use this device as my daily driver so frankly won't be able to tell a lot about performance. But without any apps installed (the phone comes with pretty much stock Android version 4.4, which I think will never see an update) the phone is quite usable. There is a surprising lack of bloat ware, and whatever pre-installed apps were there, could be easily un-installed (not hidden - read that!). Of course the only apps you cant remove are the ones from Google. The Blade Buzz comes with a not so great but OK 3MP camera which is fixed focus. And sorry there is no flash. Don't expect a lot here, it is only good for casual photos. At the end of the day, I can easily recommend this as your smartphone if you use only Google services, and may be Whatsapp. I have a hunch that this phone will has performance issues with other social networking apps. This is so because of the RAM being only 512MB and internal free space being only 2GB. If the only differentiating factor of a smartphone is that it is cheapest, it won't probably sell. But if it says it is the cheapest Lumia, heads turn. This is Lumia 430, and this is my quick review of the phone. The Phone is superbly build. It is great to hold it in hand, though it feels slightly heavy for the form factor. I have been using this phone as a secondary backup device for over a month now, and have dropped it a couple of times, surprisingly there are no dents. 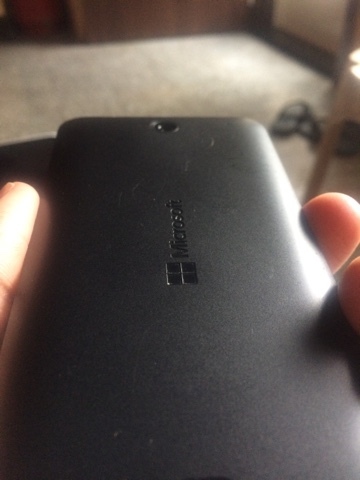 The back cover of this phone also doesn't come of during the fall, as is with most other phones. The display, however is below average. 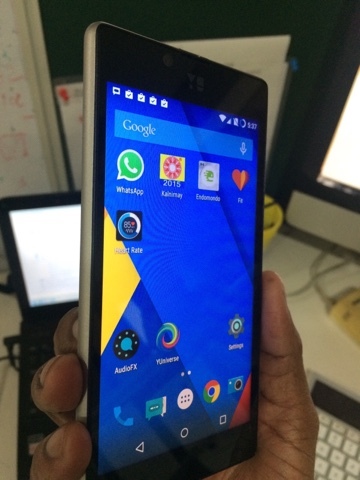 At a slightly higher price point (but below 5K) you can get an HD IPS display from Android vendors, see for instance Yu Yunique (http://www.snapdeal.com/flash-sale/yu/yunique). It is usable though. That is pretty much I can say about it. 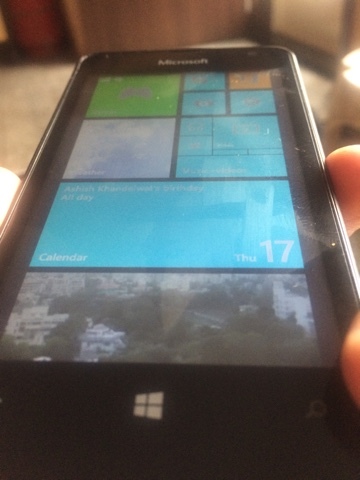 I have had Lumia 800, and it had a stunning display. 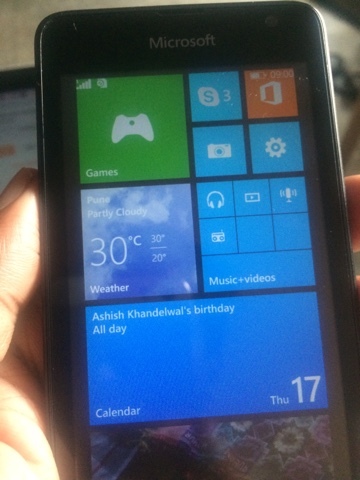 With this kind of low display however, I feel that the premium of the Lumia brand has been quite diluted. It just doesn’t feel good. 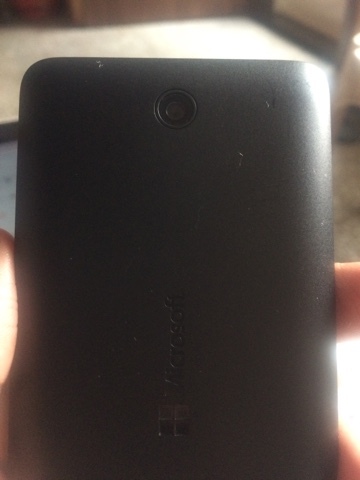 One of the main selling points of the Lumia phones was the camera, and in this compartment too it fails quite miserably here. 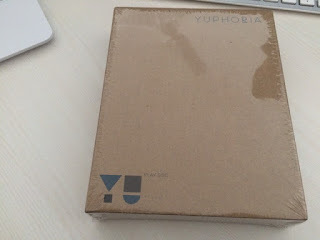 Again at this price point, you can get a 8MP autofocus camera with flash (http://www.snapdeal.com/flash-sale/yu/yunique), where as this Lumia provides only a paltry 2MP fixed focus camera. The quality of photos however is decent for quick sharing on social networks. At the end of the day, it is a well build phone. A good secondary smartphone, that is reliable and easy to use. A good phone for first time buyers. But very hard to recommend wholeheartedly when you can get phones at much higher specs on the Android side at the same price point. If you speak Windows however, and you are tight on budget, or just want a Windows phone to try out: this is a no barrier. And yes, it will run Windows 10 for mobile devices, whenever that gets released. The same cannot be said any Android devices you buy in this segment today, there is simply no software (aka OS) update guarantee.